Basic weather protection for two fast and light travellers with a minimalist design that sets up with two trekking poles. The ultralight 30 denier silicone impregnated Cordura fabric is waterproof and incredibly strong, and the minimalist design sets up using 2 trekking poles. 2 guyline points provide additional stability in strong winds, 2 mesh vents and 2 door vents provide ventilation and reduce condensation. The sides can be opened for maximum ventilation using 4 trekking poles and the floorless design is ideal for dugout basecamp in snow conditions. 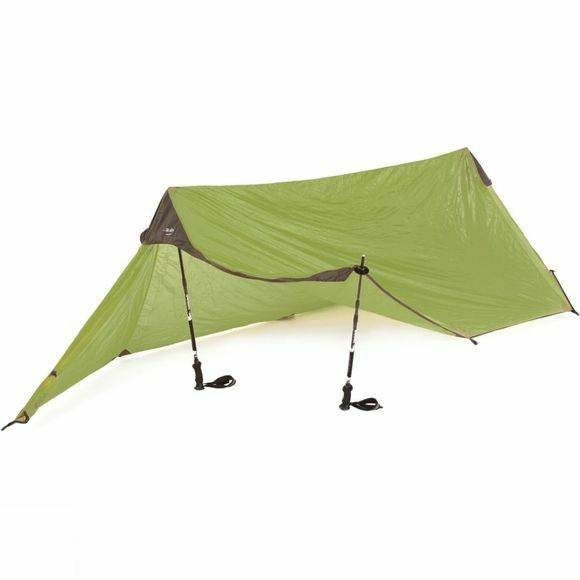 The Element 2 can be combined with modular components to create a year round shelter system.